In 1977 a French CC 21000 electric locomotive was tested on Amtrak's Northeast Corridor between New York and Washington, DC. 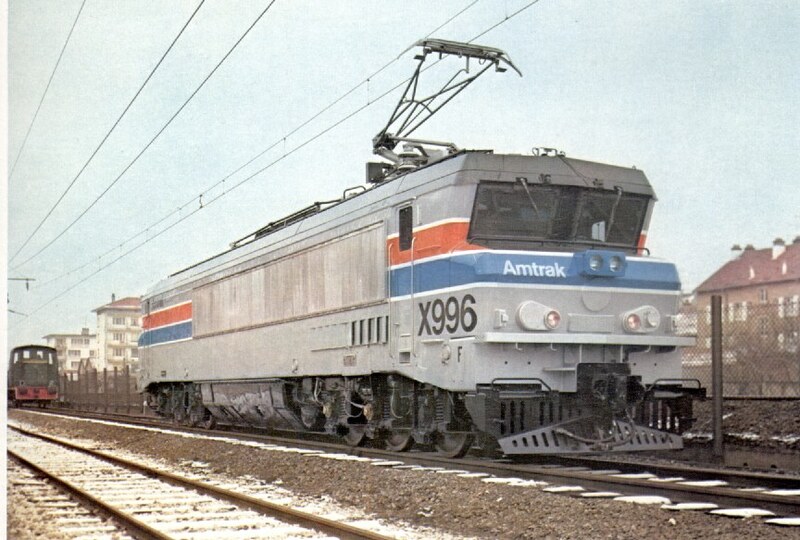 X996, as it was referred to in the United States, underwent a test program to see if it would be suitable as a high speed electric locomotive for Amtrak. Unfortunately it was not to be, as a Swedish competitor outperformed it and became the basis for today's familiar AEM-7 locomotive. In the early 1970s, the newly created Amtrak ordered high speed electric locomotives from General Electric to replace the aging GG-1s on the Northeast Corridor between New Haven and Washington. Twenty-six E60 locomotives were built in 1974 and 1975; they were designed to operate at a top speed of 120 mph (193 km/h). Their trucks, however, were modified freight locomotive components with a performance that proved disastrous at high speed. After high speed instability caused a test train to derail at Elkton, Maryland, at 105 mph (169 km/h), their rated top speed was slashed to 90 mph (145 km/h). Amtrak still needed high speed electric locomotives, and turned to Europe for more options. Two locomotives were imported for testing on Amtrak. The first is probably the better known of the two; it was a silicon-rectifier Rc4 from Sweden which came to the United States in late 1976, and was numbered X995 for its stay with Amtrak. 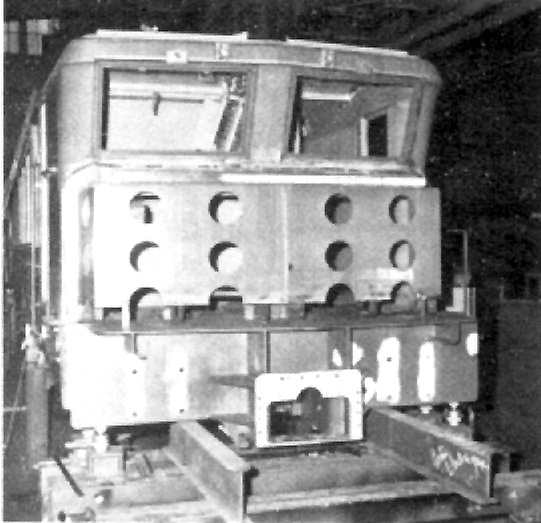 The design of the Rc4 was later licensed as the basis for the AEM-7 locomotive, built by General Motors' Electro-Motive Division starting in 1979. X995's test nickname "Swedish Meatball" stuck and is still used to refer to the AEM-7. Less well-known is X996, known at the time as the "French Fry". This locomotive's 1977 visit to the United States was more quickly forgotten. X996 started life as one of a series of six-axle, high-speed, high-horsepower locomotives built for the SNCF (the French national railways) beginning in 1969. By 1977 these 8000-horsepower locomotives had already built an established record with service up to 135 mph (220 km/h), most notably hauling the prestigious "Le Capitole" express from Paris to Toulouse. A total of seventy units were built for DC supply (the CC 6500 series), and four for dual AC/DC operation (the CC 21000 series). The pure-AC version was never built, but would have been numbered in the CC 14500 series. In mid-1976, SNCF lent unit CC 21003 back to its builder, Alsthom of Belfort, France, as the starting point for an American test locomotive. What happened next is detailed below. It is worth noting that after the Amtrak test campaign, X996 was returned to France and rebuilt to its original specification. A few years ago the AC capability was removed and it joined the CC 6500 series, and still operates to this day. A new transformer, for the 11kV 25Hz supply on the Northeast Corridor, instead of the 25kV 50Hz supply in France. 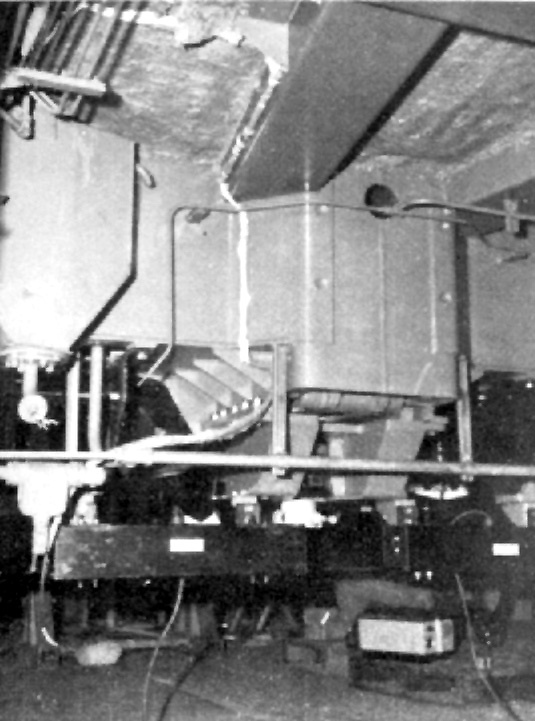 The lower frequency required a larger core, and the transformer built at the Venissieux shops weighed in at 13.5 metric tons, 2.5 more than the original transformer. After this work was done at the Alsthom factory in Belfort, the locomotive weighed in at 133 metric tons (293,000 lbs. ), up from 126 metric tons in its original state. X996 departed by ship from the French port of Le Havre on January 10th, 1977, bound for New York. 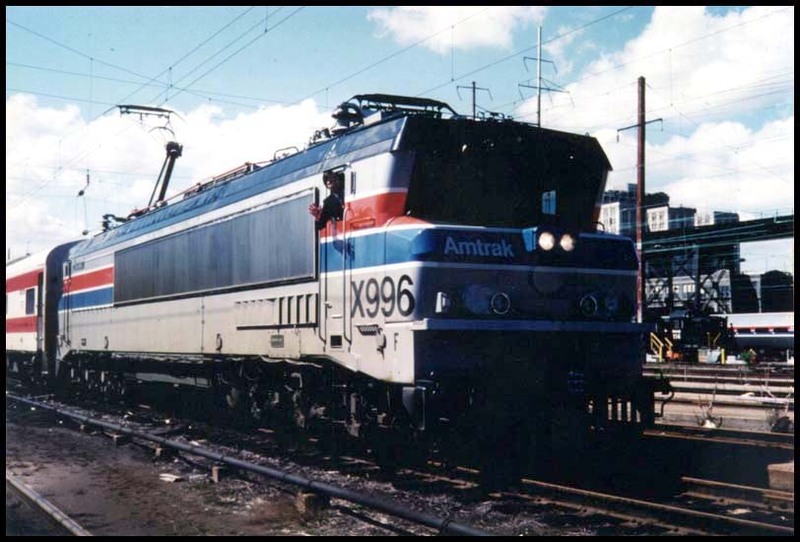 During the testing of X996 on the Northeast Corridor, it quickly became clear that the locomotive's suspension was not compatible with the track. In the US this was seen as a failure of the suspension design (the Swedish X995 performed adequately under the same conditions) and in France it was viewed as substandard track geometry (the same suspension did just fine in France). There is truth in both viewpoints, because the locomotive was originally designed to a specification that was not met on the Northeast Corridor. 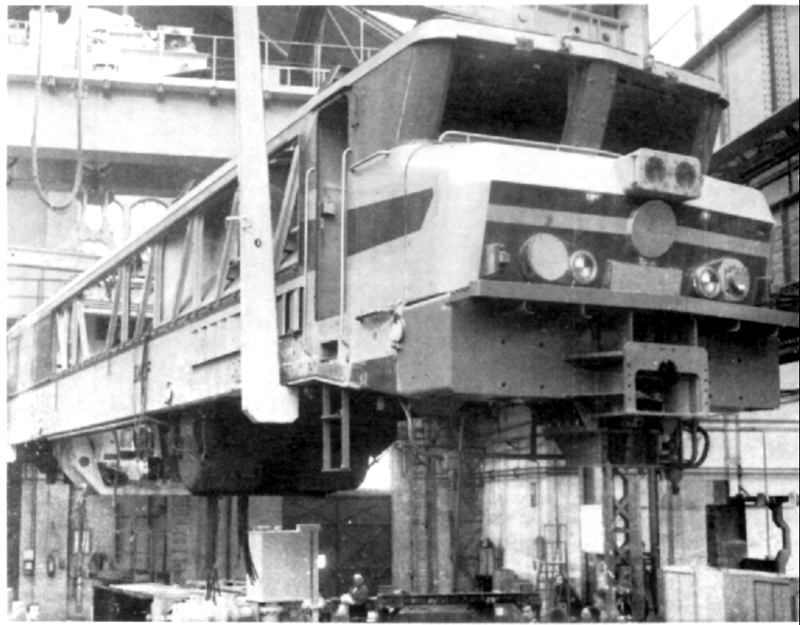 Each three-axle truck on X996 had a single, large DC traction motor driving all three axles through a gear train and hollow shafts. This arrangement is known as a quill drive, in reference to the hollow part of a bird feather, and is very common in France. The hollow shaft driving each axle is fixed in the truck frame and driven by the traction motor gear train. Each axle, threaded through its respective hollow shaft, is driven by a "spider" pushing on the wheel through a spring and rubber block arrangement. This allows the axle to take up track irregularities through the primary suspension without affecting the drive mechanism. In the case of X996, the design inherently limited the amount of travel allowable in the primary suspension; therefore the primary suspension springs had to be relatively stiff. Too stiff, as it turned out, because the Northeast Corridor track was maintained to lower standards than the French track the suspension was designed for. This fact was not lost upon the French test personnel even before the locomotive ever turned a wheel on American rails, but in the end there was no suspension adjustment that provided satisfactory performance under all service conditions. Additional pictures of French CC 6500 locomotives, as X996 looked before and after its American tour, are available on the European Railway Server's Picture Gallery. Written by Clem Tillier (ctillier@alumni.princeton.edu) with thanks to Yann Nottara, Ed Lombardi, and an article from the AFAC magazine Chemins de Fer, January 1977 issue.